For over 50 years, Alpha Rho has been providing a variety of manufacturers, wholesalers, and retailers with rigid plastic packaging for diverse uses. Rigid plastic boxes make a great choice for stacking and displaying, while offering enough support to protect the product inside. Products enclosed in rigid packaging are far less likely to be damaged in transit, meaning they are ready to be unwrapped and stocked as soon as they reach a store front or end user. Furthermore, many are choosing to utilize our boxes as an effortless value-added benefit, giving end users viable storage options for the initial product or other belongings after purchase. Rigid plastic packaging has also been deemed more sustainable than its flexible adversary, helping to eliminate waste due to its high reusability potential. In some cases, rigid plastic boxes can even be designed as part of the end product, such as a display stand or as a measuring cup for products that require mixing before use. Our custom rigid plastic boxes—compartment, hinged, friction fit, custom shapes—are already used extensively in multiple industries, such as retail and hobby, food and confectionary, medical, and industrial. But just how many uses are there for our plastic rigid boxes? The options are endless! Read along below to check out a few “out of the box” applications for our extremely adaptable rigid packaging solutions. Many companies promote their businesses by giving away promotional items like keychains, stress balls, or other inexpensive trinkets. These are good icebreakers at community events, trade shows, and conventions. Packing these items in a properly sized rigid plastic box adds to the perceived value, provides more space for a promotional message, and even allows room for a business card. Displaying items in clear rigid packaging creates a more powerful on-site presentation than keychains strewn across a tabletop. Whether for a child’s party, large family reunion, or corporate event, Alpha Rho rigid plastic boxes are an excellent choice to create themed party favors. Our plastic boxes are available in a variety of shapes, including cylinders and heart shapes, to add a bit of creative flair. Pack boxes with event-relevant gifts, such as candies, small toys, puzzles, printed material, office related items, or even photos. 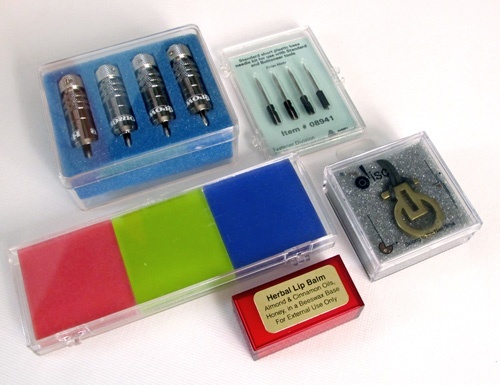 Clear rigid packaging is a superior way to display samples or organize small items in a retail setting. It’s also a convenient way to protect and showcase collectibles, such as small stuffed animals, trading cards, coins, and stamps. Clear rigid plastic boxes allow items to be viewed without exposing them to direct handling and allow for easier storage over time. Use Alpha Rho’s clear rigid packaging solutions to promote tourism by packaging “Fresh Mountain Air,” “A Gulf Coast Ocean Breeze,” “Florida Sunshine,” or other creative imagery. Use a label on the box to deliver your message and direct readers to a website or phone number. The number of people involved in crafting seems to be growing daily. Many craft as a hobby and to create gifts, while others craft to supplement income. In either case, rigid plastic packaging from Alpha Rho is a terrific solution for displaying hand-crafted jewelry, hair bows and ribbons, and other items. Our boxes ensure that craft pieces are easily stored, displayed, and wrapped. The rigid plastic box can even become part of the art piece itself with Alpha Rho’s expansive customization options. Beautiful, well-crafted items are even more impressive when packaged in attractive rigid plastic boxes and are must-carry items for craft supply stores. Alpha Rho is the largest manufacturer of a wide assortment of stock and custom, clear polystyrene lid and hinged plastic boxes for handling, packaging, and storage applications in New England. We offer a range of rigid plastic packaging solutions in an almost endless array of shapes and sizes. Our customers are supplied from our 36,000-square-foot facility in Fitchburg, Massachusetts. We appreciate, and are truly fascinated by, all the re-purposing efforts our customers have implemented with our rigid plastic boxes following their use as packaging. Please contact us for more information about Alpha Rho and how we can help you creatively package your products or reach out with suggestions of your own!